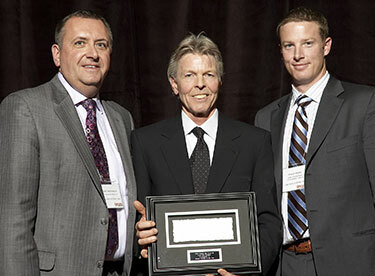 Longview Systems took home the top prize at CDN’s 2008 Channel Elite Awards — Solution Provider of the Year — for its work providing a complete IT infrastructure overhaul for a client that will support its ambitious plans for expansion and growth. Based in Calgary, Longview is a nine-year-old IT solutions and services company that has grown to $150 million in revenues and 600 employees focused concentrated mainly in North America, focused on infrastructure solutions and services. Longview was also number 13 in CDN’s Top 100 solution providers for 2008. “We’re very excited,” said Phil Edgell, Longview’s director of business development. “It’s always an honour to be recognized in front of your peer, and certainly being a Western regional player, knowing there are so many strong national VARs, it’s an honour to be recognized. Longview’s client, in the case study that earned it the CEA recognition, had a mandate to be the top company in North America in its vertical by 2010. To get there, said Edgell, they needed a flexible IT infrastructure to handle both organic growth and growth by acquisition. Also, the company has a North American presence, so the growth could come near head office or a ways away. That’s where Longview came in. The client set four priorities: improve their competitive position, reduce costs by adopting virtualization technologies, protect their business with a business continuity strategy and implement a computing environment capable of growing with the business. Edgell said Longview used VMware virtualization technology to give them a more flexible infrastructure with servers from HP and storage from NetApp, and a disaster recovery system that’s easy and cost effective. The work Longview did for this client is typical for the solution provider now, but Edgell said it wasn’t at the time. Looking back on its experiences, CDN’s Solution Provider of the Year has some advice for its peers.